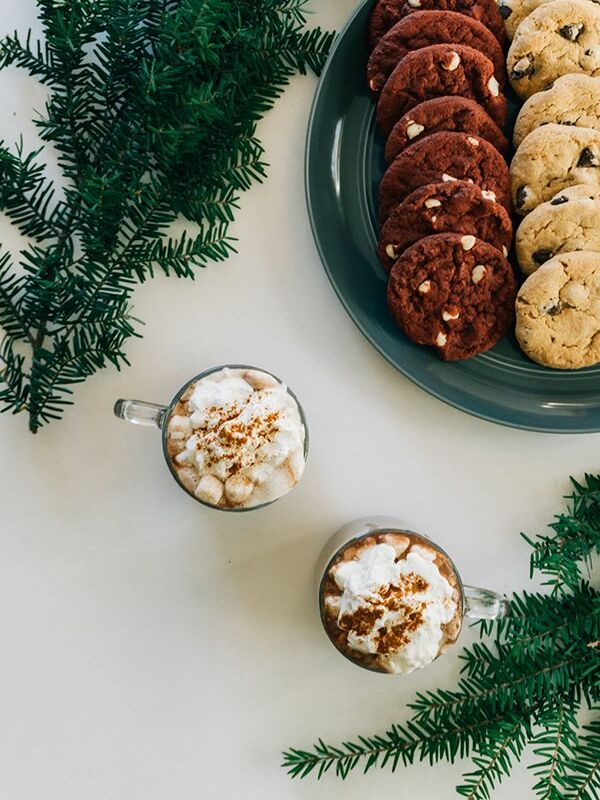 There are a variety of ways the holidays can mess up your hormones, says Suzie Welsh, registered IVF and fertility nurse, adjunct professor at Villanova, and founder of Binto. Stress, unhealthy food choices, and booze all can play a factor. Here, her tips for keeping your hormones in check and surviving the holiday season. Which Hormones are Most Affected by the Holidays? Not surprisingly, cortisol is one of the top hormones the holidays mess with. That's because cortisol is also known as the "stress hormone," meaning it's elevated when you're stressed TF out. "One of the first ways that it can impact us is because we're so stressed, it's going to continue to throw off our sleep-wake balance, and it's going to throw off the foods that we reached toward," Welsh says. Read: It's going to make it harder to resist cookies/cakes/pies/all the treats that are prominent during the festive season. She adds that 90% of cortisol is made in our guts. So when we eat these sugar-laden foods, those mess with our gut, which messes with our cortisol, which makes us crave sugary foods. Bodies are crazy, am I right? These changes in hormones can manifest in symptoms like fatigue, food cravings, headaches, the aforementioned bowel issues, irritability, mood swings, and irregular menstrual cycles. Okay, So What Can Be Done? Welsh stresses the importance of waking up around the same time every morning to keep your routine in check. She also recommends going to bed around the same time and creating a relaxing nighttime routine to help you de-stress. "If working out is important to you, stay consistent with that. Try not to let that get derailed because of the holidays. You're going to feel a lot better," she says. Even 30 minutes a day of exercise can seriously help. Eating healthy around the holidays is tricky, but go into meals with a game plan. Don't deprive yourself, but don't go overboard either. Load up on plant-based foods. Welsh explains that plants contain a lot of prebiotics (aka the things probiotics eat). "In order to maintain your gut health and the probiotic strains that naturally live in your gut, it's good to get them healthy food," she says. Also, supplements can be your BFFs. Welsh says to make sure you get enough B vitamins. "These are critical for hormonal balance and energy," she explains. Magnesium is another one that is beneficial if you're getting stress-related headaches. She also recommends turmeric, which has powerful anti-inflammatory properties. All in all, while the holidays can wreak havoc on your hormones, you can minimize the damage by being proactive with other facets of your wellness routine.